Cigar smokers know that the flavor of cigar is not merely limited to one. 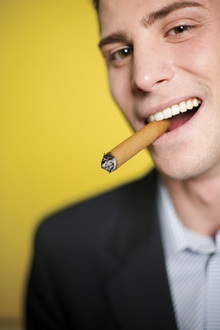 Â The varying flavors of cigar is one of the interesting aspects of cigar smoking. Â Finding the preferred flavor is literally a journey of understanding the essence of cigar smoking. The flavors of cigar can be generally classified as mild, medium, and full-bodied. Â However, this is definitely not the end of flavor description in relation to cigars. Â Describing the flavor of each cigar can be rather complex since it is rarely describable in a single word. The parts of the cigar that are most responsible for the resulting flavor consists of the filler, binder, and the wrapper. Â Most of the flavor comes from the filler which is usually made of up 2 to 5 different tobacco variants. Â The binder which holds the cigar together is a piece of tobacco leaf which also has its own flavor. Â The wrapper likewise adds to the character and flavor of cigars. Â A sweeter, fuller taste is usually given by darker cigar wrappers while a milder taste is provided by lighter colored wrappers. Many words have been used to describe cigar flavor and some may not be readily associated with cigars but rather with food flavor. Â Some of the more common descriptive words used for cigar flavor include sweet, bitter, spicy, peppery, woody, earthy, burnt, creamy, fruity, leathery, harsh, roasted, aged, and chewy. Â More specific descriptions include nutmeg, vanilla, cinnamon, apple, chocolate, nutty, chestnut, and cedar. Â There are actually a lot more that it would be impossible to come up with a final complete list since many new flavors are developed as new combinations of tobacco leaves are discovered. Tasting of cigars is often compared to wine, tea, or coffee tasting. Â Cigar enthusiasts recommend a specific way of tasting the flavor which includes not only the sense of taste but also the sense of smell. Â There is also much attention given to the aftertaste which in cigar smoking should not be less enjoyable.